Ancient Egyptian Civilization was certainly one of the most long lived and durable in all world history, The Early Dynasty 3000-2705 B.C, The Old Kingdom 2705-2155 B.C, The Middle Kingdom 2134-1781 B.C and The New Kingdom 1550-1071 B.C. The Great Abu Simble temple. Mandulis god at Kalabsha temple. Pyramid of Mekerin at Giza plateau. Egypt is a land with well defined boundaries. To the east and west are vast deserts. To the north is Mediterranean sea. To the south there was a formidable granite barrier – now inundated – beyond which lay the barren land of Nubia. Within these recognizable boundaries, however, was a land divided: Upper Egypt, which extended from Aswan to a point just south of modern Cairo, was, apart from the narrow strip of land flanking the river, largely barren. The triangle of the Delta, or Lower Egypt, was extremely fertile. 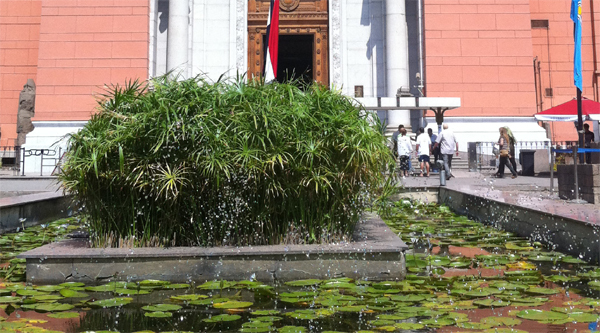 The climate in Upper Egypt was semi-tropical, while in Delta – temperate. Such physical and climatic differences naturally gave rise to different cultures, different experiences and different outlooks. 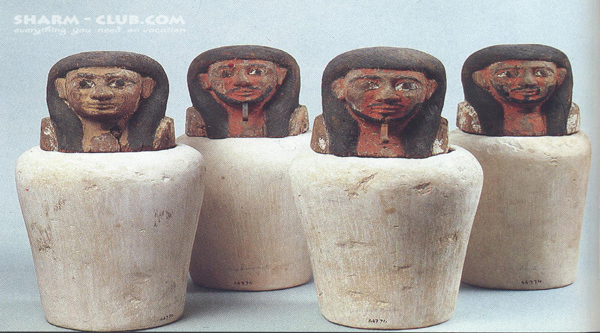 Egyptian civilization at this period is known as the "Nagada culture" which can be divided into three phases. The culture first arises in the Fifth Millennium B.C. in Upper Egypt between Abydos in the north and Armant in the south, and subsequently spread over the rest of Upper Egypt. The first -or Nagada I phase achieved trade relations with the Kharga oases, reached the Red Sea on the east, and the first Cataract on the south. The process of consolidating the country, which resulted in historical times in a unifying Egypt, may have begun under the Nagada second phase. Both trade relations and conflicts between Upper and Lower Egypt are arrested at this time. Especially noteworthy during this period are the fascinating early mural paintings discovered in a tomb at Hierakonpolis (ca, 3500 B.C.) and the ceramic decorations displaying human and animal figures, as well as ships complete with oars and cabins. The third and most advanced Nagada third phase seems to reveal influence both from Lower Egypt and other cultures in the Near East. Autonomous provinces were established and consolidated until two separate kingdoms eventually came into being: one in Upper Egypt with its capital at Nekheb (El kab, bear Edfu) and the other in Lower Egypt, with its capital at Buto (Tell el farain, near Desouq). The Egyptian history was divided into thirty-one dynasties, or royal families by the Egyptian priest Manetho, who lived between 323 and 245 B.C. Manetho wrote his history of Egypt beginning with Menes of the first Dynasty and ending with Alexander the Great in 332 B.C. We can divide his dynasties further into several discrete eras. The Early Dynasty 3000-2705 B.C. Consists of the first two dynasties, and derives its name from the town of origin of the earliest kings Thinis. The first capital of the newly unified country was established by Gor-Aha (Menes), the fourth king of the first Dynasty, at Memphis. Hieroglyphic writing also came into use at this time in moderate scale for simple economic and other types of documents. These early jottings mostly served to list names, places or objects. A few experiments with stone as a building material, instead of mud brick, were also undertaken. Royal tombs were constructed at both Sakkara and Abydos. Among the famous representational works from this period is the Narmer palette, which commemorates the defeat of the Lower Egyptians at the hands of the Upper Egyptians and the unification of the two halves of the country. The Old Kingdom 2705-2155 B.C. This period includes Dynasties 3-6. Memphis remained the political capital, but Heliopolis grew as the most important religious center. The pharaohs were buried in the great pyramid necropolis of Sakkara, Giza, Abusir and Dahshur (to the southwest of Cairo). 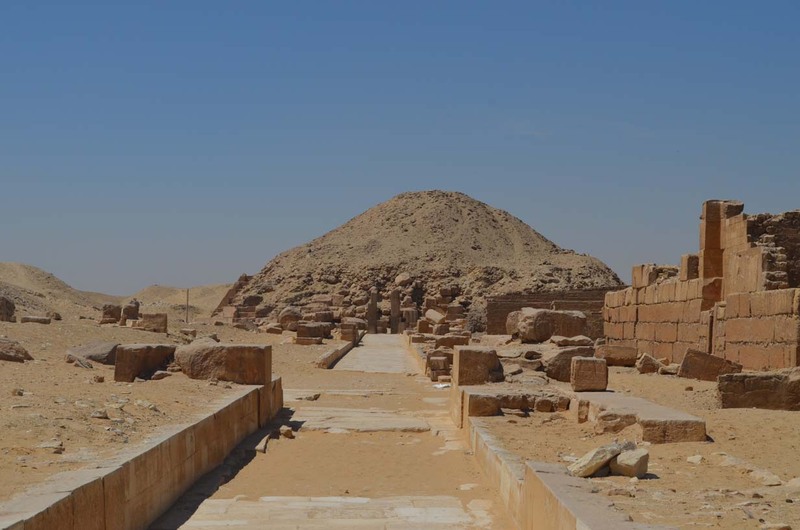 There are a lot of monuments belonging to this age such as Sakkara step pyramid - it is the first structure built completely from the stone; the bent pyramid at Dahshur - it is the first true pyramid built in Egypt. The Old kingdom was characterized by a highly bureaucratic and organized central administration. The Middle kingdom 2134-1781 B.C. The transition period from the Fifth to Sixth Dynasties. The corpus of religious mortuary literature known as "The Pyramid Texts" makes its first appearance inside the burial chambers of the pyramids. Members of the royal family and high officials were interred in mastabas, or in rock-cut tombs. The officials sepulchers were located either around the pyramid of the pharaoh they had served or in their own administrative province. The New Kingdom 1550-1071 B.C. This period includes Dynasties 18-20, and is considered by many to be the golden age of Egyptian civilization. 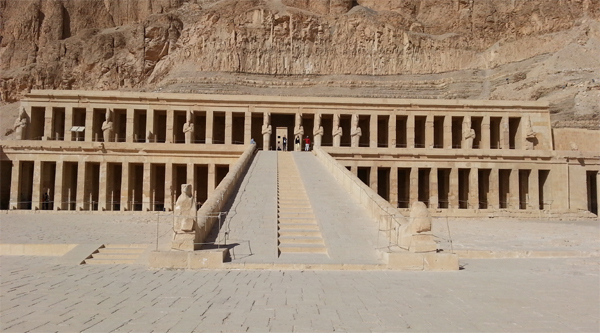 In the 18th Dynasty, Thebes was both the political and the religious center of the realm. Magnificent temples were erected there for the state god Amon-Ra. The temple of Karnak functioned not only as the major religious center, but also like a political one. It was economic and diplomatic focus for everything, from the delivery of local taxes from across the river to foreign tribute from provinces such as Nubian, Syria-Palestine and Phoenicia, and from countries such as Punt, Libya, Crete, the Aegean islands and Mesopotamia ( the most famous rules of 18th dynasty ). Dynasties 21-24 are generally ascribed to this era. During 21st Dynasty Egypt once again was divided into two regions. In the south, the theocratic state was ruled by the priesthood of Amon Ra at Karnak, while the north was controlled by the priests of Tanis. Dynasties from 22 to 24 were of Libyan origin. The ruling house of Nubia succeeded in founding the 25th Dynasty. Egypt was reunited under king Shabaka, and the capital was moved to Napata near the 4th Cataract in Sudan. At the end of this period Assyrians conquered Egypt (671 B.C.). Saite or 26th Dynasty achieved renaissance of Egyptian civilization. 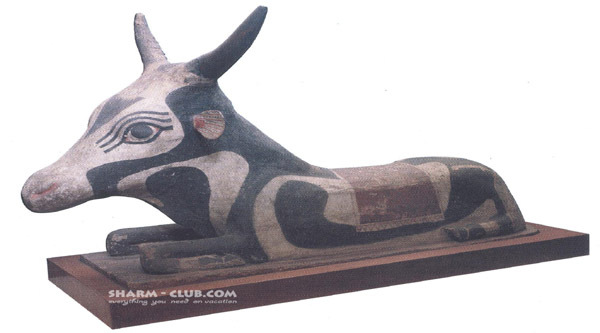 Art, language and many other aspects of traditional Egyptian culture were resurrected from bygone classical ages. The dynastic capital was at Sais in the western Delta, until the Persians under Cambyses conquered Egypt in 525 B.C. During 27-30th Dynasties Egypt remained under Persian rule, occasionally succeeding in placing native Egyptian rulers on the throne. In 332 B.C. the country was invaded by Alexander the Great, who founded the city of Alexandria in the following year. After his death in 323 B.C., Egypt fell under Ptolemaic rule until the death of Antony and Cleopatra VII I in 30 B.C. The country then became a Roman province until 395 A.D.